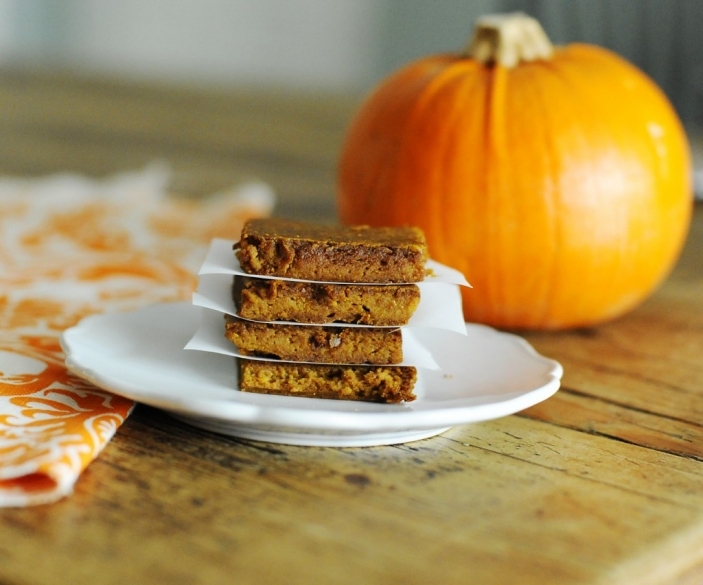 My Son’s Favorite Snack…Pumpkin Bars! 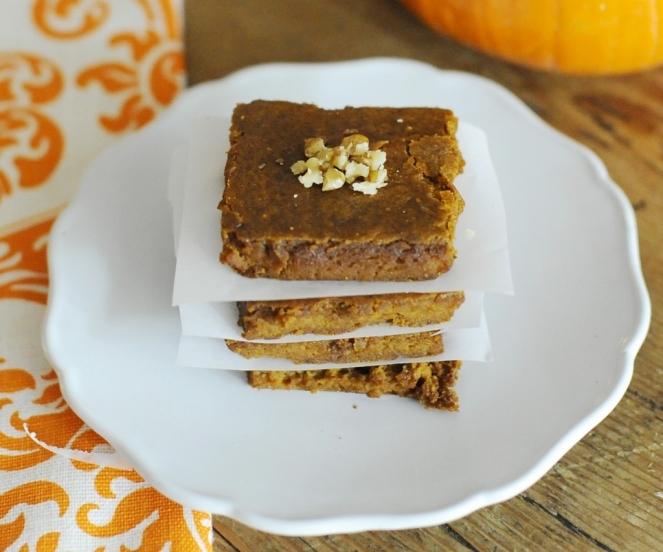 These pumpkin bars are not only yummy but they are also full of protein, good fats and lots of fiber. They make for a great snack! We wanted to make these bars a little more portable so we cooked them in muffin tins. If you do the same, be sure to cook them for only 25-30 minutes. 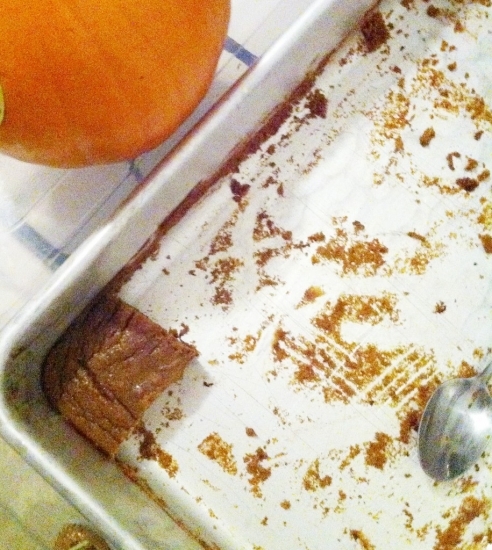 As he sat there eating the pumpkin bars, he actually said “Mmmmm, I’ve got 7 more to go”. While he didn’t eat them all, well in one sitting, this snack really is his ALL time favorite!! My friend and co-worker Stephanie Finn took this picture recently of her favorite pregnancy snack, even though she had the baby last spring. I think she still likes them…. In a large bowl, mix together all ingredients (but walnuts) until well blended and smooth. Bake for 35-40 minutes or until a toothpick is inserted in the middle comes out clean. 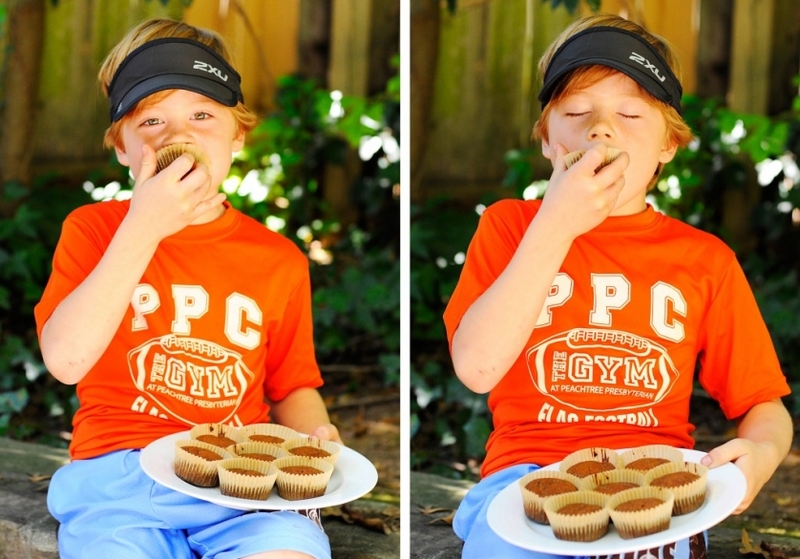 If you bake them in cupcake holders, then cook them for only 25-30 minutes.